Not all proxy servers are created equal. 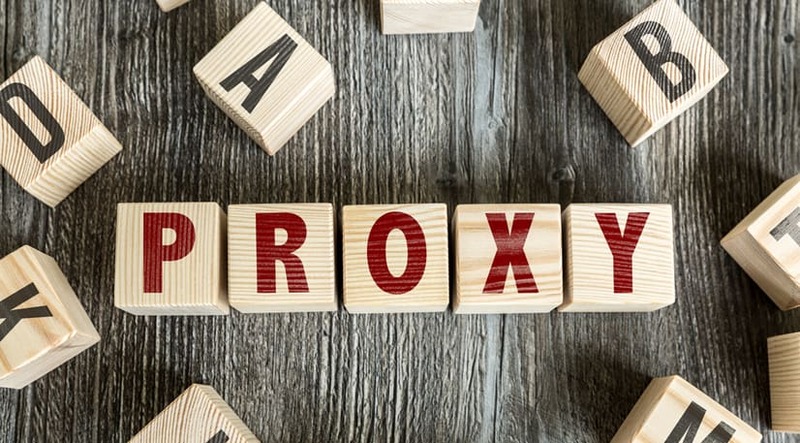 Proxies feature varying degrees of effectiveness in terms of routing protocols, security, and speed, which make them quite different for users. Today, the two main types of proxies are HTTP and SOCKS proxies. Below is a quick comparison between the two proxy types for your reference. HTTP proxies often operate between your receiving web client and the sending web server. It is designed to process the HTTP protocol line-by-line to spot harmful content and prevent potential buffer overflow attacks. In addition, HTTP proxies enforce HTTP RFC compliance. If the content is safe, it will be sent to an internal Web client. When a user adds an HTTP proxy policy to his or her Internet browser configuration, they can get access to two types of proxy actions: HTTP client ruleset template and HTTP server ruleset template. SOCKS is an Internet protocol that allows client-servers to use network firewall services in a transparent manner. Also known as SOCKetS, SOCKS proxies transfer all the data from a client to a server. Since nothing adds from itself, the anonymity of SOCKS proxies is truly absolute. It is useful to note that there two versions of the SOCKS protocol: SOCKS4 and SOCKS5. The latter supports UDP and has the ability to extend the addressing scheme to encompass V6 IPs and domain name as well as extend the framework to enable generalized strong authentication schemes. Depending on your proxy provider’s settings, the speed of SOCKS proxies can be upwards of 1,000 mb/s, or slower. From a computational perspective, these proxies require less coding to run, which may increase speed in some cases. Another notable trait of SOCKS is that its speed is much higher when used to download or transfer a large amount of content. It features a direct tunnel that allows content to be transferred more quickly. That’s why it became the preferred proxy type for BitTorrent. Public proxies are terribly slow and often found on proxy lists. Shared private proxies have been advertised to provide speeds of up to 1,000 mb/s. However, they are bandwidth hogs and thus your speeds could decrease significantly over time. Lastly, elite private proxies have advertised speeds of over 1,000 mb/s. That’s why they are the cream of the crop when it comes to HTTP proxies. After all, proxies and proxies, and if there are issues with the middle-man, a user will notice a shift in speed. SOCKS proxies use a TCP/IP-based connection, which makes it extremely secure. Because of its directness and sheer transparency, SOCKS proxies cannot read data that is being passed between the server and the client. HTTP proxies, on the other hand, are not as secure as their SOCKS counterparts. This is true if you are utilizing an elite private proxy, a public proxy, and a share private proxy. One of the reasons why these proxies are not secure is because of their intelligence. Yes, intelligence in this particular protocol chain does not imply a higher degree of safety. HTTP proxies do not care how sensitive data is, it simply reads it. For SOCKS proxies, they operate at a lower level than HTTP proxies. They offer more applications and can work on any network protocol and port. The functionalities of SOCKS proxies often attract programmers and other individuals that need to use these proxies for non-specific HTTP protocol related matters. One of the most prominent features of HTTP proxies is that they are built with very specific HTTP protocol methods. They do not fetch and receive in other types of network connections; they work within a specific protocol. These factors make HTTP proxies the common choice. Are you looking for global proxies or USA proxies? Take your pick from our wide range of proxy offerings now!